The World Trade Organization (WTO) expects blockchain technology to add no less than US$3tn to international trade by 2030. In a new report released yesterday titled ‘Can blockchain revolutionise international trade?’, the WTO says that if blockchain projects that are currently under development succeed, the technology “could well become the future of trade infrastructure and the biggest disruptor to the shipping industry and to international trade since the invention of the container”. Considering the technology’s potential effect on industries such as trade finance, customs clearance, logistics and transportation, the WTO predicts that the removal of barriers via blockchain implementation could result in more than US$3tn of new trade by 2030 as larger, focused investments reach critical mass. However, the WTO cautions that much remains to be done. One key issue noted by the report is around regulation, with the WTO calling for rules to be drafted to clarify applicable laws and regulate responsibilities. “Without this regulatory layer, blockchain will likely be confined to proofs of concept and pilot projects,” it says. Speaking at the launch of the publication, its author Emmanuelle Ganne, senior analyst at the WTO, said: “I think it is very important for trade officials and regulators to keep an eye on what’s going on.” She adds that more communication needs to happen between the trade and technology communities to ensure that the benefits and potential of the technology are fully understood. Issues around interoperability between blockchain platforms and standardisation are other major hurdles to widespread adoption. According to a count by blockchain firm TradeIX, there are around 20 consortia and industry initiatives working to modernise paper-based trade finance processes, running the risk of creating a set of distinct digital islands which are unable to communicate with each other. “A truly global system would have to connect all banks – a huge endeavour and a technically challenging task – or bridges will have to be built between existing platforms,” the report says. This digital island problem is the subject of active research within the trade digitisation community. As reported by GTR this week, some of the largest trade finance banks, industry bodies and fintech firms are currently working on the Universal Trade Network, a major project to connect the growing number of detached blockchain networks into a network-of-networks. 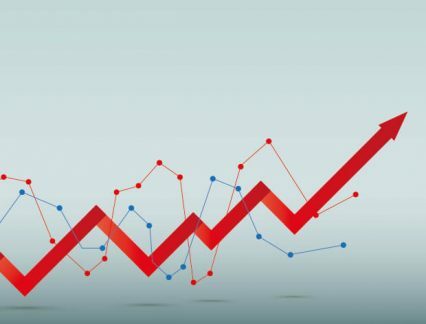 In its report, the WTO says that blockchain in trade is currently in the “irrational exuberance” phase, with few high-profile successes thus far. These include R3’s Voltron project, which saw HSBC and ING carry out their first live trade finance transaction in May, with a cargo of soybeans exported from Argentina to Malaysia by Cargill. While it concedes that a few more years and many more proofs of concepts and pilot projects will be necessary before successful models emerge, it emphasises the importance to all stakeholders of understanding the practical and legal implications of blockchain, saying that they should begin work now to develop collective solutions to current challenges. Finally, the report underscores that blockchain is not suited to all situations, nor is it a panacea for all problems. But if every actor along the chain can succeed in creating an ecosystem conducive to its wider adoption and development, the world of international trade may look radically different in the next decade.